We updated you in our November 2017 Newsletter Case update (1): Uber drivers are ‘workers’ on the EAT’s decision that drivers who provide services to the online taxi firm, Uber, are ‘workers’, rather than self-employed. Uber appealed against the EAT decision and the Court of Appeal has now published its decision as explained below. Summary: When Uber drivers have the Uber app switched on, does Uber have sufficient control over the drivers to mean that they are ‘workers’ and entitled to employment rights? Yes, says the Court of Appeal in Uber BV v Aslam and others available here. Facts: Uber operates a platform connecting passengers to thousands of drivers through a Smartphone application. The application allows passengers to request to be picked up from a certain location and they pay Uber for the journey, Uber in turn pays the drivers. Uber engages its drivers as self-employed contractors. Two of its drivers issued a Tribunal claim on the basis that Uber were acting unlawfully by refusing to recognise their status as workers. They claimed that Uber was failing to provide them with the correct rights and protections, such as paid annual leave and the national minimum wage. controls the drivers in the performance of their duties. they were able and willing to accept assignments. Uber appealed against the EAT’s decision to the Court of Appeal. the drivers were workers at all times when they had the relevant app switched on. On the first point, although the written contractual terms said that Uber only acted as an intermediary, this did not reflect the practical reality of the relationship. A court or Tribunal can disregard the terms of any documents generated by the employer if they do not reflect the reality of what is occurring on the ground. The facts found by the Tribunal were not consistent with Uber’s arguments. For example, the requirement to accept a high number of trips, the enforced logging-off of drivers who did not comply, and the way in which the ratings system operated as a performance/disciplinary procedure were all significant in showing Uber’s control of the drivers. On the second point, the majority (it was not unanimous) found this issue difficult (like the EAT) but decided the Tribunal had been entitled to reach the conclusion it did. The judges relied in particular on the high level of trip acceptances required from drivers, and the penalty of being logged off if three consecutive requests were not accepted within a ten-second time frame. 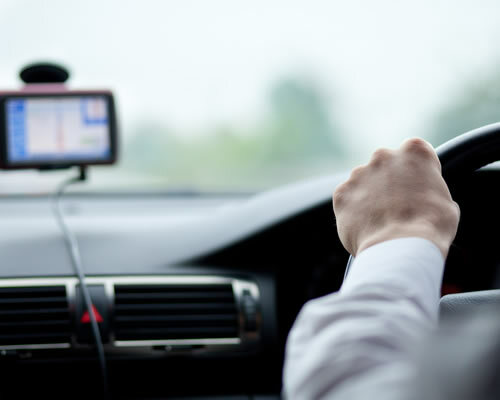 Doubt arose from the fact that a driver could have other rival apps switched on at the same time, in which case it was arguable that he/she was not at Uber’s disposal until having accepted a trip. Nonetheless, the majority upheld the Tribunal’s decision on this point. Implications: This decision, although fact specific, does provide useful guidance on worker status. The majority judgment emphasises that written terms cannot be used to avoid statutory protection of workers, especially where the relevant terms are standard and non-negotiable and the parties are in an unequal bargaining position. All of the circumstances must be examined, and Tribunals should take a “realistic and worldly-wise”, “sensible and robust” approach to the determination of what the true position is. The dissenting judge went further to say that where there is inadequate protection for staff, especially where one party has superior bargaining power over the other, “the right answer is to amend the legislation” and this is particularly relevant given the Government’s proposals set out in its recent ‘Good Works Plan’ (see Government reforms (2): Good Work Plan (response to Taylor Review) updated above).